College scholarships can help to bridge the money gap between what it costs to attend a particular college, less the amount you receive in financial aid, and the amount of money you have available to pay for any remainder. Before you resign yourself to accumulating debt through student loans or credit cards, make sure you have accessed all available scholarship resources. You may have already received some scholarships for your academic work in high school, and some may be given to you by your college as part of your financial aid package, but your best strategy is to go out and search for more yourself. Start your scholarship search by asking everyone you know if they are aware of any scholarship opportunities. Ask your high school guidance counselor, the college financial aid office, and your local town librarian. Also, ask your high school teachers and college professors if they belong to any professional associations. Have your parents find out if their place of work offers scholarships. Perhaps your local church or the national denomination has money available. Watch community newspapers for local businesses and community organizations that make scholarship funds available. Minority students, children of veterans, students with specific medical conditions, and students entering certain professions may be eligible for various scholarships. There are scholarships for almost any interest imaginable, but you will never know for sure what is available if you do not ask. You can also get involved in certain community activities, such as volunteering at your local hospital, for example, to become eligible for scholarships funded by one of the hospital's charitable groups. BigFuture by The College Board: Every year The College Board conducts a Survey of Financial Aid Programs. You can benefit from this work by searching through their information on scholarships, other financial aid, and internships from more than 2,200 programs, totaling nearly $6 billion. Enter as much information as you can to find the most possible matches. U.S. Department of Education: This listing of state grant agencies provides information on grants, scholarships, and other financial aid for college students available from the state level, including federally-supported state programs such as Byrd Scholarships and LEAP (Leveraging Educational Assistance Partnership) grants. Scholarships.com: This is a free service that has already helped students search 3.7 million local, state and national college scholarships and grants worth over $19 billion. CollegeNet.com: Search a $1.6 billion scholarship base by keyword if you already have a starting point or by personal profile and let them match scholarships to you. Fastweb: Includes featured scholarships, scholarship tips, scholarship deadlines and even a $2,000 Niche No-Essay Scholarship. Get matched to scholarships based on your strengths, interests, and skills. Cappex: Uncover information on millions of dollars in scholarships from colleges, universities, private companies, and foundations. They also have a one-click application for certain opportunities. 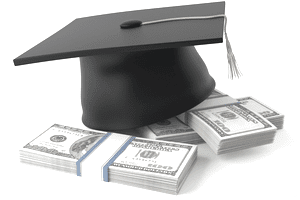 Look for Corporate Scholarships: Scholarships are a great way of garnering corporate publicity while providing funds to educate the next generation of employees. Discover Student Loans, for example, offers $2,500 scholarships to help pay for college. The deadline is December 31st of each year. Discover also has a free online scholarship tool with search capability that finds details on over three million scholarship and grant opportunities. Don’t Stop Looking: There are late deadline scholarships and scholarships you can only apply for after completing one year of college. New scholarships come out all the time. Don’t Count Yourself Out: You may think you don’t have what it takes to qualify for scholarships, but there are some sponsors which understand this feeling. USA Today provides a list of at least 6 Scholarships Any Student Can Win, but a dedicated search will surely yield more.